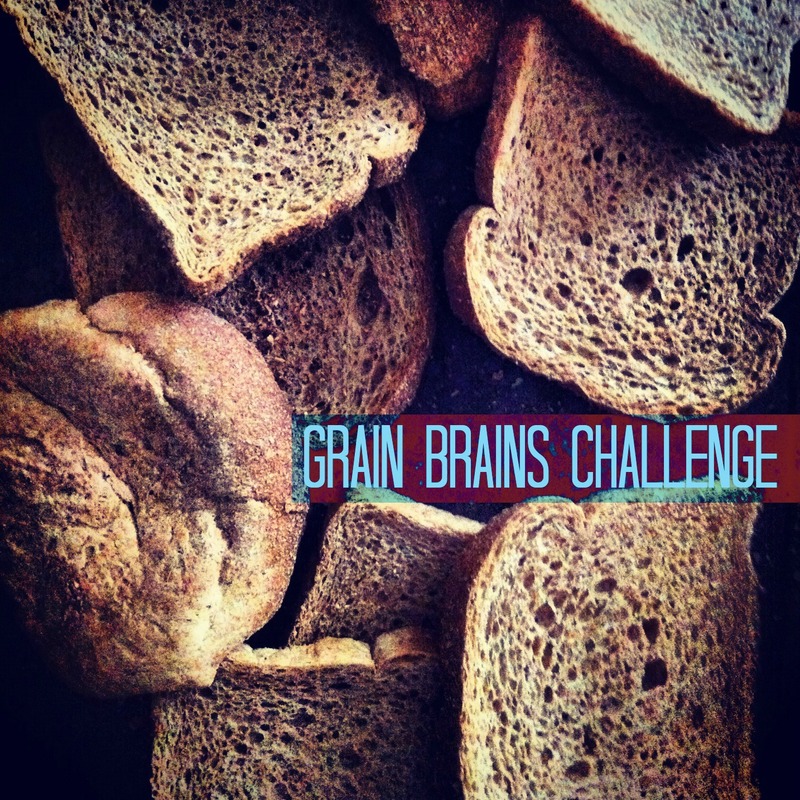 A recipe challenge to help you get whole grains into your mouth, not just your kitchen. I love wheat berry salad. The nutty-crunchy-sweetness in most recipes is just delicious. But I got curious about how it might taste without the crutch of a sweet component. What about a more savory grain salad? No raisins or dried cranberries. No fresh fruit, either. I decided to try a different grain too. There are lots of grain berries out there, hard red wheat berries, Kamut, spelt, freekah, etc., but when I saw Cayuga rye berries at Main Street Farm in Livingston Manor, New York it got me thinking about Reuben sandwiches with the flavors of Swiss cheese, sauerkraut, corned beef, and rye bread. I thought, “that’s what I want my salad to taste like.” I set out to make a Reuben Berry Salad with exactly the same ingredients as the sandwich. I succeeded in making the Reuben rye berry salad, including mustard seeds for the flavor of the condiment, but it did not meet my expectations. In the end I decided that it was much better as a sandwich than a salad. The flavors were way too muddy, sort of like a sour Cobb Salad. I realized that if I wanted to make a savory grain salad I would have to keep the flavors bright and fresh. Second time out was much more successful. Rye berries do not cook as fast as wheat berries. And when fully cooked they are still chewier. I love that about them. They are also slightly sour. I love that too. Whenever I start a recipe I always start with my acid component. It is my favorite recipe tool. Lemon, lime, vinegar, orange, wine. Those are the flavors that give a recipe zing. In this case I started with lime and a splash of white wine vinegar. To that I added cilantro and Italian parsley to round out the flavor, olive oil to make it smooth on the tongue, fresh green pepitas for crunch. And lastly I decided to add garbanzo beans so the rye berry salad would have the heft of a main course dish. This combo worked really well. I ended up serving it in iceberg lettuce cups from my garden and added sliced red onion to each serving. Add chopped herbs to the vinegar, olive oil, and lime juice. Stir to coat. Add cooked rye berries and toss in the herbed liquid. Let berries sit in the liquid for about 20 minutes to marinate. Add garbanzo beans and pepitas and toss. Season to taste with sea salt and red pepper flakes. 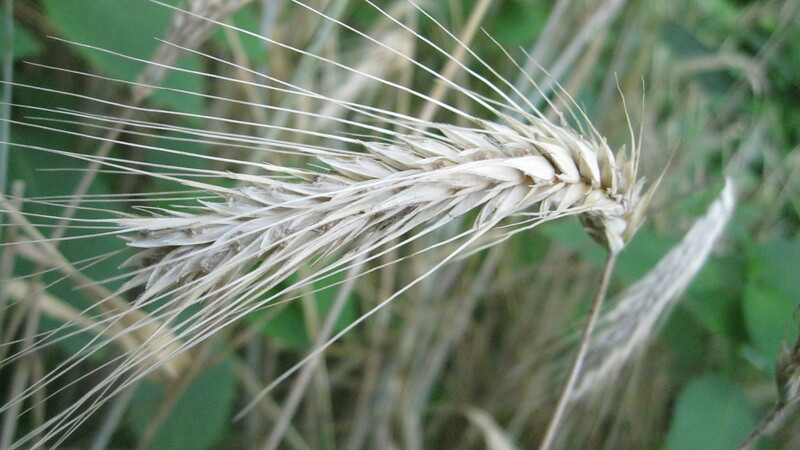 Amy’s note: My little patch of Danko rye is getting close to harvest, and I’m excited to try Alan’s recipe. Growing rye has been much more fun than growing wheat, just because I can see the plot out my kitchen window. I couldn’t see the progress of my wheat crop last summer because it was behind the house, hidden by maple leaves. I love the idea of breaking away from the sweet crutch you often find in wheat berry salads. Remember that wheat berries are pretty sweet, so they don’t need that element enhanced. When I make this, I’ll probably add Gomasio, the mixture of toasted sesame, pumpkin and sunflower seeds we make and have ready for green salads.